Here you will gain a complete understanding of the meaning behind the mirror hour 04:04. If you have been witness to a synchronicity, it is completely normal to try to understand what it is trying to tell you. Indeed, the subconscious is able to perceive signs that our conscious mind does not. A mirror hour is one of these signs, and they can have several meanings. It could mean that you are currently in a period of serious reassessment. Or it could be that an angel or an entity is trying to send you an important message about your future or the future of those close to you. 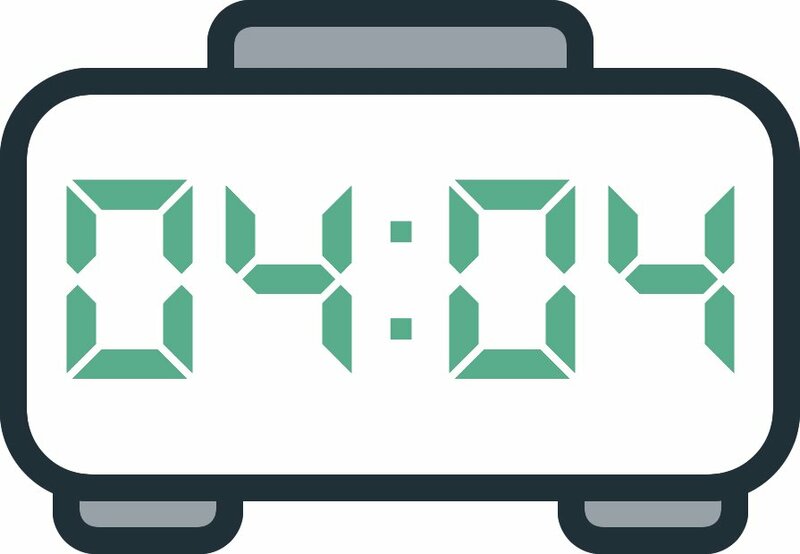 Here you will learn the meaning of the mirror hour 04:04. To do this we are going to make an interpretation with the help of the guardian angels of Kabbalah. We are also going to provide you with the symbolism of 04:04 with the help of numerology as well as the Tarot of Marseilles, which is the most-used divination tool in the area of fortune-telling. The guardian angels are indicating here that on the physical level you are going to enter a period of being in top shape. If you are currently facing health problems, the angels are giving you strong indications that you will overcome these challenges. They will give you strength and help you to find the motivation you need inside yourself to take care of your body. You have an admiration for the beauty of nature. You believe that the Earth should be protected and you do what is needed to change the way of the world, as well as to change the hearts and minds of others. You have a strong connection with the environment and you do everything you can to respect the natural cycles of creation! The angels will help you to finish your undertakings, especially those connected with nature or agriculture which show respect towards the environment. Through the hour 04:04, the angels also want to tell you that you have the power necessary to take on big responsibilities. You are someone who is in a position to bring people together, and you are not scared to exercise your power! A career in politics would certainly be foreseeable because you know how to convince people, even those who weren’t prepared to listen to you at first. This mirror hour shows a strong connection with the angelic world. 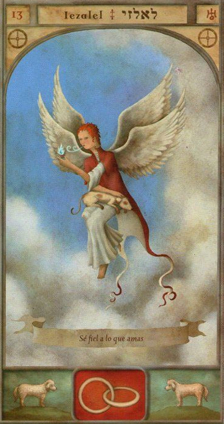 If you feel that you are not going to be able to reach some of your goals, you can ask the help of the angels. They will make sure to help you overcome the challenges and obstacles which loom ahead of you, especially if you bring positivity and comfort to the lives of the people around you. The guardian angel corresponding with 04:04 is Yezalel whose influence extends from 04:00 to 04:20. He is the symbol of understanding and harmony. He brings you reconciliation and fulfillment in a romantic relationship. He will follow you in all of your undertakings and guide you in making sure that they succeed. You can call upon him if you face problems in your emotional life. He brings you the open-mindedness necessary to resolve conflicts. He also gives you a high intelligence and a strong memory. This will open doors for you in training or advanced studies. What does 04:04 mean in Numerology? 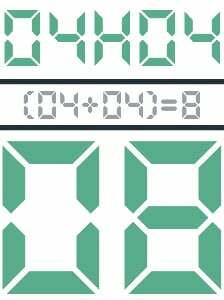 The total value of the mirror hour 04:04 is 8. This number shows that you are sensitive to the cycles of existence. Life is made up of highs and lows and you should take the time to find your balance. If you don't find a way to manage the disruptive events on your life path, you risk being unable to reach the stability that you have been searching so hard for. The number 8 is a symbol of strength! It represents success in the material and financial worlds, and success in some major undertakings thanks to an unfailing motivation. You’re not scared of anything! Your physical capabilities are undeniable which makes you a person to be respected. But you should remain humble; you sometimes have a tendency to try to dominate others by any means necessary. This can be viewed poorly. You have a gift for managing your affairs and success in the professional world is practically inevitable. You are certainly a role model in a management setting and you are good at motivating your troops! Although you sometimes lack precision you have an ability to see the big picture of the things around you. This allows you to come up with long-term solutions which have sometimes never been thought of before. But the number 8 is also a warning! Too much success has the power to change you! You should always take care not to become too proud, as this can make you intolerant or even domineering. If you manage to channel your determination into helping others you will achieve outstanding results! 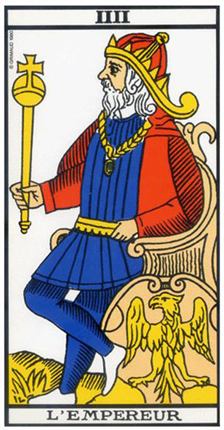 The Tarot card corresponding to 04:04 is the Emperor! This arcanum of the Tarot of Marseilles embodies prowess. Its presence in your reading suggests that you are going to have to take on big responsibilities. He symbolizes strength and reliability! He helps you to build your future and ensures the success of your endeavors. The Emperor is a sign of strong authority. He shows your ability to bring good things into every aspect of your life! He brings you the stability you need to assure yourself of success. For many, you will be a symbol of righteousness and prowess. This card can also mean that a powerful person will protect you. Unfortunately, an Emperor is also synonymous with a dictator! In this case it can mean that you are going to encounter problems with someone who has the potential to abuse their authority and who risks getting in the way of you achieving your goals. The Emperor brings security and well-being in a romantic relationship. He expresses the validation of feelings and a strong fidelity between partners, a beautiful love story! In work, he offers responsibilities and the exercise of power. If you show righteousness you should reach the position you seek. When it comes to money you will have total success. You are going to gain access to the financial security that you have been searching for for so long! Any comment on the 04:04 mirror hour? Yes I know this is certainly true…thank the universe.